In the spring of 2005, Shades IN Place owner Roger Magalhaes had a full-time job as a truck driver. In addition, he was remodeling his newly acquired home on his spare time and weekends. As rooms were completed, Roger’s friends and family would compliment him on his great craftsmanship and attention to detail. After his home was complete, he realized he missed the hands-on aspect of construction. This led him to the decision to start a part-time company where he would “just measure and install blinds and shades.” In June of 2006, Shades IN Place was born. As his “part-time” business progressed, Roger decided to partner with a local retail chain so he could work as a subcontractor and offer his installation services to their clients. His high level of mechanical abilities, along with his friendly manners, rapidly spread among the community. Shortly after, clients started asking Roger to install drapes, Plantation shutters and hang pictures and artwork. Roger, being the entrepreneur that he is, realized that because he did not have prior experience in the trade, he should pursue as much formal education as possible. Therefore, his quest for knowledge began which led him all over the country to acquire certification and training from manufacturers like Hunter Douglas and Norman Shutters, and to attend schools such as The Custom Home Furnishing Academy in Charlotte, NC. In 2007 after only one year in business, Shades IN Place was exploding in popularity which gave Roger the opportunity to quit his full-time trucking job and dedicate all of his time to his company. In the same year, he joined the WCCA (Window Coverings Association of America) where he gained important insight about industry standards. Additionally, he learned “best business practices” including how to become a better business person and how to better service his clients. Roger will be the first one to tell you that running a business is a continuous learning process which he greatly enjoys. In 2008 with the economy on a down swing, Roger clearly saw that the path to move Shades IN Place forward was to begin offering quality products to his growing clientele, adding to his already well-known and highly sought after installation services. The year was 2009, and Roger’s business was growing by leaps and bounds which “forced” him to move the business out of his house and into a commercial space. Due to the slow economy, it was not difficult for Shades IN Place to find the perfect “spot” in Franklin, MA, and hence the “The Shades IN Place Studio” came to life. Jump ahead to 2011, and we find that Shades IN Place has celebrated its fifth year in business and become Shades IN Place, Inc. Many business experts agree that the five-year point is an extremely important benchmark for any company, especially in a severely slow economy. For Shades IN Place, Inc., and Roger Magalhaes, the five-year mark is the “seal of approval” that continually providing people with quality products and superior services will keep him in business for many years to come. To date, Roger has developed an impeccable reputation for excellence in the industry, and he is regularly recognized by several industry leaders across the country. 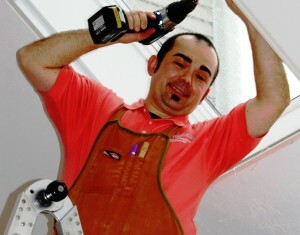 He currently holds several certifications for various leading product lines such as Hunter Douglas, Somfy and Norman Shutters and proprietary installation techniques. Roger is also a regularly featured author for the trade publication WCN Magazine where he writes about window treatment installations and business topics. 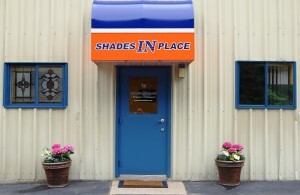 In addition, Shades IN Place, Inc., (and Roger) are featured regularly in several trade related articles, and they have also been highlighted on the cover of different trade magazines. Going forward, Roger continues to be committed to always providing the absolute best products and services to his long list of satisfied clients. He welcomes you to join the list! See the type of clients we serve. Franklin, Wrentham, Norfolk, Holliston, Hopkinton, Ashland, Southborough, Sudbury, Wayland, Weston, Newton, Wellesley, Brookline, Boston, South Boston, Milton, Needham , Westwood, Medfield, Foxborough, Sharon, Walpole, Sherborn, Natick, Dover, Westborough, Watertown, Belmont, Lexington , Waltham, Cambridge, Norwood, Mansfield, North Attleboro, and more!